Used for thousands of years for a number of different things, hemp has proved to be one of the most versatile and beneficial plants found in nature. 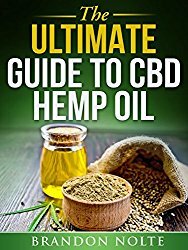 Many people use hemp in beauty products, and the overall number of hemp oil products you can shop for online illustrates just how popular using hemp oil has become. Before hemp was added to hair products, creams, lotions, and topicals, it was used some 10,000 years ago for textile and agricultural purposes. Hemp clothing has been around long enough to be found on the remains of mummified humans from around 8000 BC, and hemp was the most popular form of paper until the mid-1800s. Hemp skin care came later when the hemp seed oil benefits for skin were discovered. The rest, you could say, is history. Today’s natural product market is full of thousands of beauty products, and both men and women use hemp skin care products instead of chemical-derived alternatives. Hemp oil is one of the best sources of omega-3 and omega-6 essential fatty acids, both of which are crucial for maintaining healthy skin cells (1). Hemp oil benefits for hair are known, and it also helps with sleep support, joint support and improving stress and mood. No wonder hemp oil products are used by countless people around the globe. Hemp is sometimes referred to as “food” for soothed skin, and it can be used both internally and externally. Hemp oil (the main ingredient used in hemp skin care) contains virtually zero THC, which means using hemp-based skin care products won’t cause any psychoactive effects. 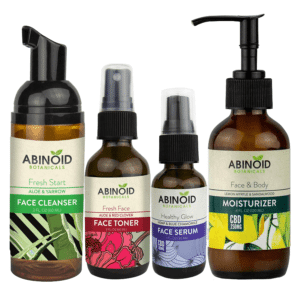 Hemp skin care products are an excellent addition to your current natural skin care routine. Even if you’re not currently taking care of your skin naturally, using hemp for skin care is a great place to start. Hemp is an excellent moisturizer and contains many nutrients that your skin needs to stay soft and supple. Hemp skin care has become very popular with use of hemp oil as a moisturizer, mainly due to its high vitamin and nutrient content. In fact, these vitamins and nutrients are so potent that hemp seeds have been historically used to sustain people during times of severe famine. Full of vitamins E (a natural antioxidant that promotes skin tissue growth) and C (the famous antioxidant responsible for even skin tone and elasticity), hemp is one of the best choices in natural skin care. Hemp oil also contains essential omega-3 and omega-6 fatty acids, which have shown to promote younger-looking skin (2). With the vast variety of hemp skin care products, using hemp for skin care is effortless. Whether you’re looking for extra moisture protection during the cold, dry winter months and could use a nice hemp balm, or, if you just want a hemp skin cream that provides a lighter-based moisturizer, using hemp for skin care is an excellent choice. Lotion with hemp seed oil as one of the main ingredients provides excellent moisture for dry skin. Hemp oil contains all the benefits contained in essential fatty acids as well as key amino acids that are excellent for skin care and natural skin health (3). Hemp oil is beneficial for dry skin because it contains the same lipids (naturally occurring molecules) as our skin. This means that hemp oil gives skin exactly what it needs to naturally replace lost moisture. It’s even added to products like a hemp salve, because of the benefits it contains to repair dry skin. Looking to go a little “greener” in your skin care routine? Hemp oil lotion is also an excellent alternative petroleum-based lotion. When using hemp lotion, you can rest assured knowing that while naturally moisturizing your skin, you’re also doing your part to help the environment. Cleansing the face with hemp oil is another excellent option. Most of us aren’t accustomed to using oil on our face as a cleanser, but there are many people who choose to cleanse their skin with hemp oil instead of soap. While we all know some oils are responsible for clogged pores, hemp oil actually has the opposite effect and helps balance the skin’s natural oils. 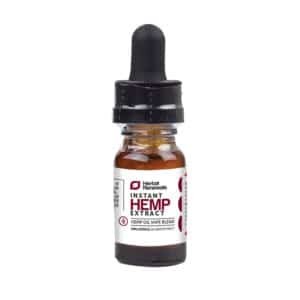 It also contains gamma-linoleic acid, which regulates hormones and can reduce acne breakouts, which is why many people with acne-prone skin choose hemp for their skin care needs. Aside from topically applying hemp, ingesting hemp oil in the form of CBD edibles has also shown to be a beneficial part of natural skin care. Taking CBD supplements allows the nutrients to work from the inside out and naturally soothes skin. Is Hemp Skin Care Right for You? Deciding to add hemp-based products to your skin care routine is an excellent choice, especially if you’re looking to take care of yourself in the most natural ways possible. 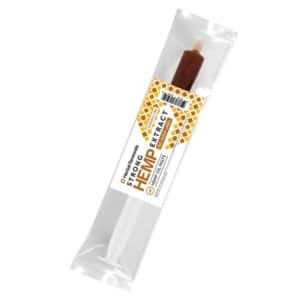 There’s no need to worry about any psychoactive effects when using these products as hemp contains virtually no THC and does not alter your perception at all. 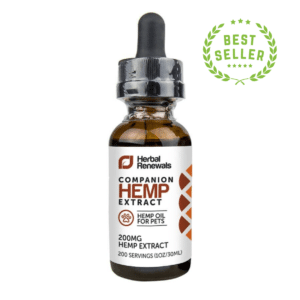 Actually, the compound responsible for many of the health benefits of hemp is the naturally occuring cannabidiol (CBD), which is the main ingredient of many other food supplements such as CBD capsules, tinctures or vape oils. 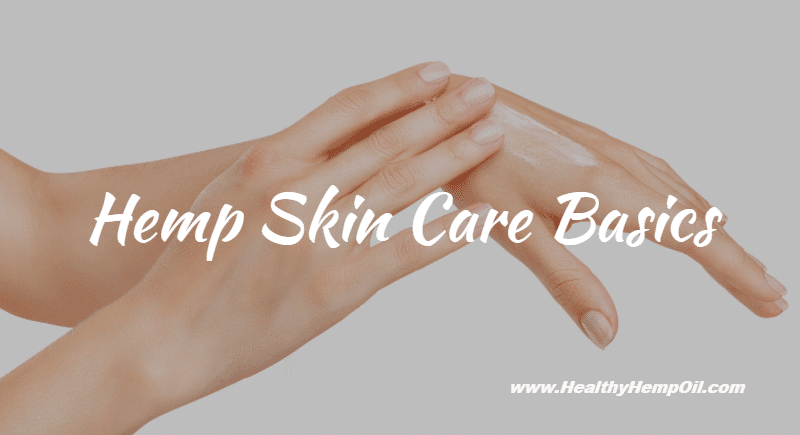 If you’re looking to supplement your skin care routine with some new products or are just interested in seeing why hemp skin care has become so popular, there’s no better time than now. The market is full of excellent hemp skin care products, and from lotions and hand creams to cleansing oils, hemp is a top choice among many people looking for natural skin care alternatives. Do you have experience using hemp skin care products? We’d love to hear about your experience. Please leave us a comment below, and let us know how you’ve personally benefited from hemp skin care.